The Ismayilli region, located to the north of the country, was part of Caucasian Albania since IV c. B.C. Here, on the top of the highest mountain there are ruins of a medieval fortress. Its creation is associated with the name Dzhavanshir, the ruler of Caucasian Albania (VII century). Another famous historical monument in the area is the Maiden Tower (VII-XII century), fortification, located on the top of the impregnable hill. Ismayilli is rich in folk art traditions. 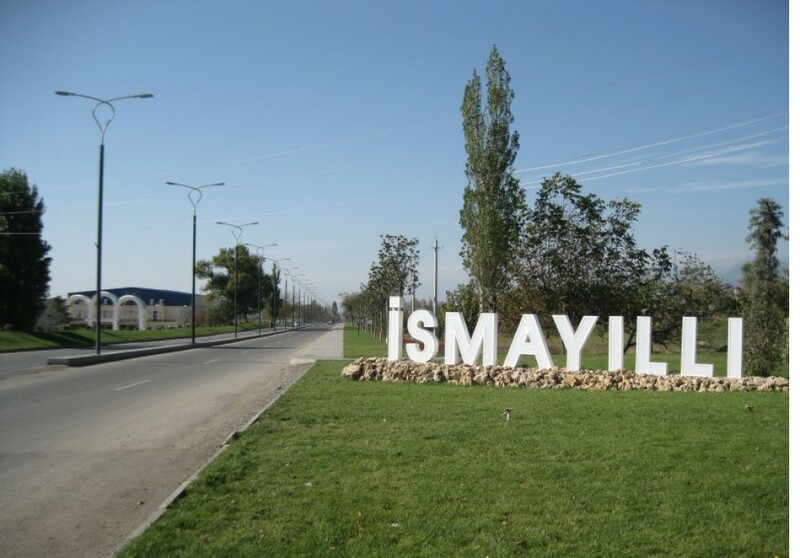 People of Ismayilli belong to many different nations and ethnic groups. For example, the descendants of the Molokans who resettled here from Russia live in the famous in Azerbaijan village Ivanovka. The village Lahij, located at an altitude of 1,200 m above sea level, is the home for Tats, who, however, call themselves Lahij people. Known since the VII century, this small city, which is located in the mountains, up to this day is famous for its copper weapons and utensils. Basgal village is also widely known. In the Middle Ages it was one of crafts and silk spinning centers. Ismayilli is also one of the wine-making centers in Azerbaijan. Ismayilli is a part of the historic Shirvan. This area is located in the north of the country, at the southern foot of the Great Caucasus mountains. The territory of the district as well as the whole territory of the North Azerbaijan was a part of Caucasian Albania in the VI century BC. On the left bank of the river Girdimanchay on top of the highest mountain are still the ruins of a medieval fortress, the construction of which is associated with the name of Javanshir – the ruler of Caucasian Albania (VII century). Haram tower, castle Gyrhotag, Juma mosque and wall Hireki of defensive purpose in Sulut are also of great interest. However, the most famous and important historical monument of this area is the Maiden Tower (VII-XII centuries) – a defensive structure located on the top of the steep mountain near the village Khanagah. Ismayilli district has rich traditions of folk art. Besides the Azeries here also live other nations and ethnic groups. For example in the well known in Azerbaijan Ivanovka village live Molokan descendants resettled here from Russia. The locals are very hardworking and have retained their old culture and traditions. And in the village of Lahij located on the bank of Girdimanchay at 1200 meters above sea level live Tats which however call themselves Lahijes. Known since the VII century this small town in the mountains is still famous by its weapon and utensils made of copper. The village Basgal also became widely known since the Middle Ages when it was one of the centers of crafts and silkworm breeding. Until now the traditional headscarf “kyalagai” is exclusively produced in this village only. The region is very interesting for tourists. Tourist area Maiden Tower – Shirinsu is a favorite place for picnic lovers, eco-tourism and trekking. Here runs a tributary of Goychay river – river Ah-oh. Ismayilli is also a center of wine production in Azerbaijan and there are all opportunities for such tourism as wine tours. Thanks to the fact that Ismayilli has very rich wildlife the hunting tourism is also prospering here.